Class of 2018 guard Taylor Stelley of Poinciana HS (Kissimmee, Fla.), has earned an invite to the #EBASuper64 Camp in June 2016. 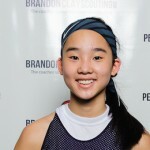 The highly effective PG dictates the tempo of the game with her skill on both ends of the floor. 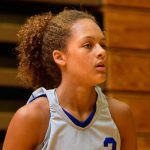 She caught the eye of our ProspectsNation.com staff with her sharpshooting during the #PSBRealDeal and #PSBSummerInvite during the July Evaluation Period in 2015. 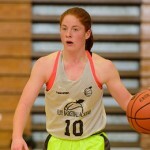 Brandon Clay’s takeaway – EBAAllAmerican Camp (Sept. 2016): Stelley is a fireball point guard. She plays the game with energy and aggressiveness. She shot the ball very well this weekend. When need be, she can move without the ball in her hands and gets her shot off with quickness. 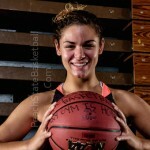 She is a specialist while playing the point guard position and plays the game without turning it over at a high rate. ‘18 PG Taylor Stelley (@showtime_tt) of @flalightning & @FL_Lightning is ready to take her show on the road to @AbbeyWBB. Who is next to sign from our program? Taylor Stelley (FL) to Belmont Abbey marks our 4th '18 commit so far & 2nd in two days. '18 PG Taylor Stelley (FL) to Belmont Abbey. 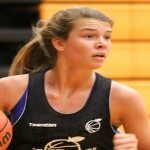 See what @BrandonClayPSB has to say about ’18 PG Taylor Stelley (FL). 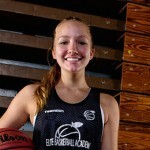 Taylor Stelley had a good showing at #EBAAllAmerican, a PG that leads. Ready to work w/ #SMPMember ’18 G Taylor Stelley (FL) this weekend. Taylor Stelley shined at #PSBSpringShowdown. She’s in for #EBASuper64. #SMPMember: ’18 G Taylor Stelley can play! Shined at #PSBSpringShowdown. ’18 G Taylor Stelley of #PSBFamily FL Lightning has a new video eval.